The base for a colorwork cardigan ala Elizabeth Zimmermann. 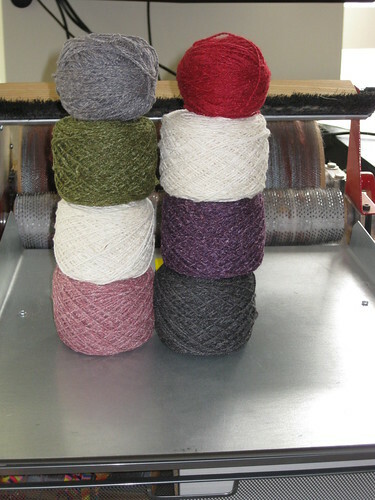 In silky wool in 7 colors- more than the pattern calls for (5? ), but I couldn't choose just 5 colors. 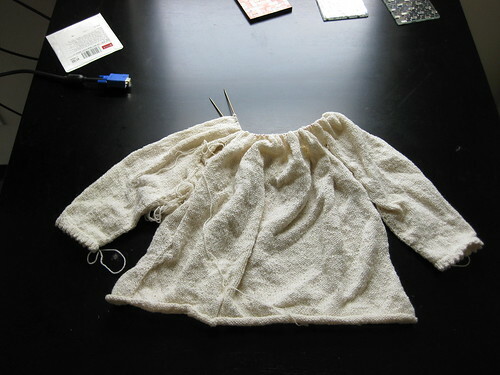 Haven't knit a plain yoked sweater in a awhile, and this one got put aside after vacation in February. Only fitting to work on it on vacation again. Ack, enough color there? I LOVE silky wool!